1 intelligent opinion, leave yours. The Great Ridge in the English Peak District. After some cold chilly months, a good burst of fresh air and exercise is just what the doctor ordered. And what better way is there to rejuvenate body and mind for the year than a brisk walk in the great outdoors? This year, Hotter is launching a Walk In Our Shoes campaign to help you stretch your legs in style and comfort. So, we’ve invited editor of Women’s Fitness Magazine Joanna Knight to pick 10 great walks (and 10 great pairs of shoes!) that will get you started. From Scotland to Exmoor and the Lake District, she’s scoured some of the UK and Northern Ireland’s most beautiful destinations to find 10 walks you’ll love. One of the highest Munros (a mountain over 3,000ft high) in Scotland, Ben Lawers offers some serious walking with impressive panoramic summit views to match. At 1,214m, it’s got great hiking kudos, but with a car park at 400m, you don’t have to start from the very bottom to enjoy it. All routes start from the car park, but there’s a great variety of difficulty levels on offer. The adventurous can opt for a challenging trek across the Meall nan Tarmachan ridge, while family groups and those looking for an easier ride can opt for the one-mile family friendly Edramucky Trail. Celebrated for its excellent wildlife, Ben Lawers is a National Nature Reserve and boasts black grouse, ravens, skylarks and red deer, as well a variety of rare mountain plants. A durable all-weather boot with GORE-TEX® technology, the Rutland GTX® boot will be able to handle Ben Lawers’ tough ground and unpredictable weather. A breathtakingly beautiful retreat from bustling Edinburgh, Arthur’s Seat and Holyrood Park offer a hill walk with views across the city and Scottish Parliament, Leith and the Firth of Forth. 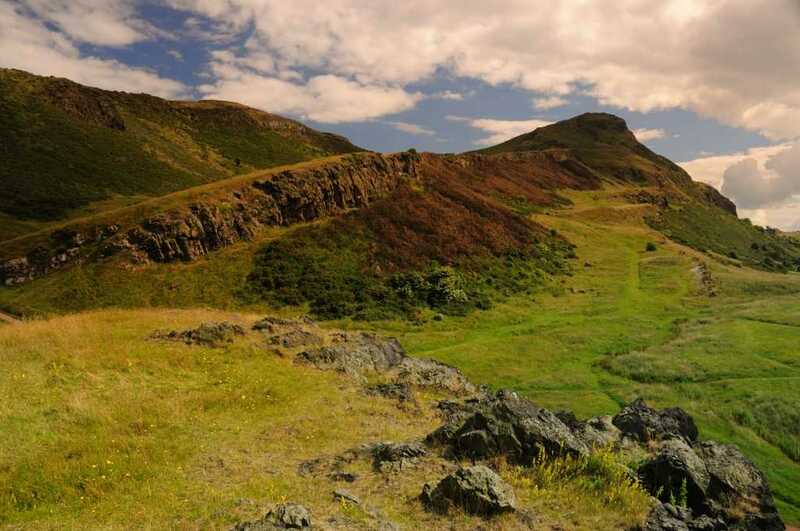 An extinct volcano, Arthur’s Seat is an unmissable city landmark rising up (to a height of 251m) out of cobbled city streets and the stunning parkland of the 640-acre Holyrood Park. There’s a nice three-mile walk you can enjoy here, which should take around two, to two and a half hours – if you’re feeling brave, take the rocky ascent to the very top of Arthur’s Seat. 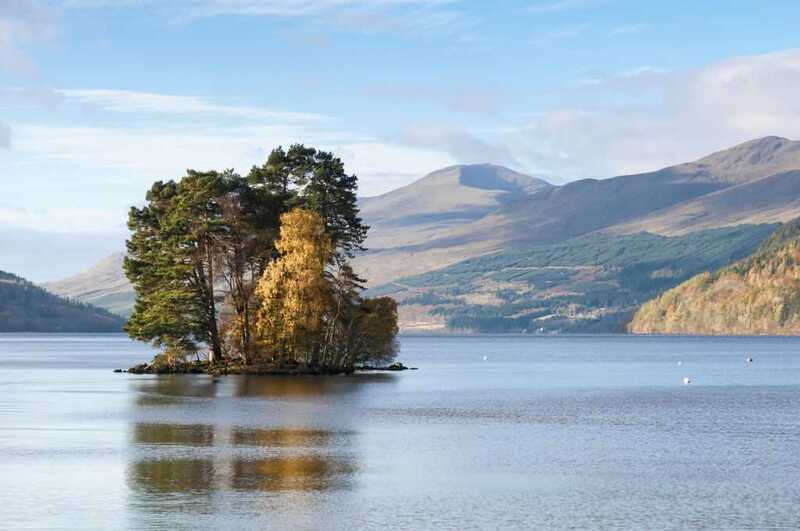 However, there are plenty of shorter walks on offer, if you just want a short break from city living – head to visitscotland.com for more information. And, of course, with the Scottish capital on the doorstep, there are ample watering holes in which to refresh post-walk. Smart enough for Edinburgh’s bars and cafes, but with GORE-TEX® technology, Tone GTX® is sturdy enough to withstand the elements should the clouds gather while you’re on the hill. 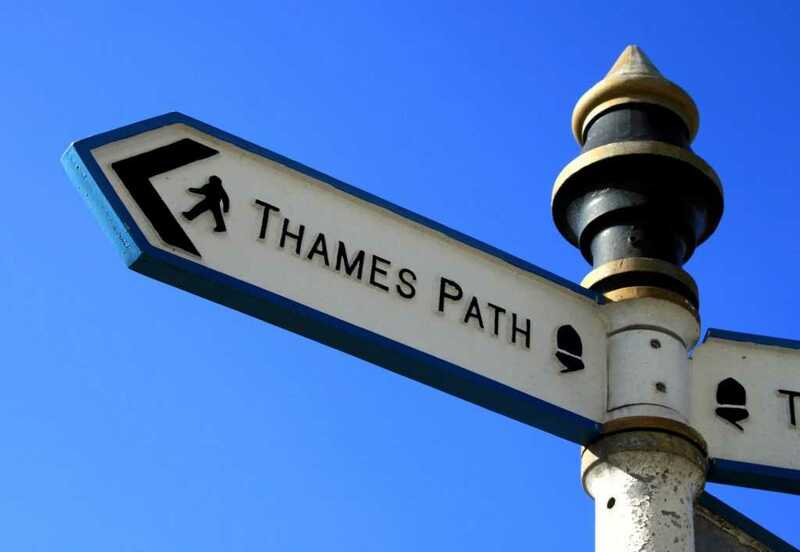 The Thames Path runs from the Cotswolds, through London, to the Thames barrier in Greenwich and is the ideal place for a ‘blow the cobwebs out’ stroll. The full route is 184 miles, but you can pick it up almost anywhere. I’d recommend a stroll down the Southbank, pick up the route at Westminster Bridge, near the London Aquarium, with views back over to the Houses of Parliament, then take a stroll past The London Eye, the always lively Southbank Centre, the BFI and The National Theatre. Pop into The Mondrian Hotel for a refreshing drink then continue on past The Globe Theatre and The Tate Modern. Soak in the fantastic views of St Paul’s Cathedral from the Millennium Bridge, then continue on towards HMS Belfast, City Hall and Tower Bridge, with views of the Tower of London across the river. Finish up with lunch in St Katherine’s Docks. Powder pink is a great neutral shade for the city slicker and in the Aura shoe the sartorial points are backed top-notch comfort and cushioning – ideal for urban walking. With views of south and mid Wales, and over the Seven Estuary, this short circular hike is worth the climb! Pen y Fan is the highest mountain in southern Britain standing at 886m followed by Corn Du at 873m. The route provides a decent hike and good footpaths make it very manageable – it’s extremely popular with visitors and locals alike. With that in mind, it is worth avoiding peak times if you can for a little more peace and quiet. Not all serious walking routes are suitable for bouncy canine companions, but fortunately this lovely little trek is. So, if your four-legged friend is game, this trail could make for a great afternoon’s adventure. The four-mile circular walk starts and finishes at the Pont ar Daf car park and should take a leisurely two and a half hours. For more information head to visitwales.com. A decent hike calls for the Leanne GTX® Shoes. 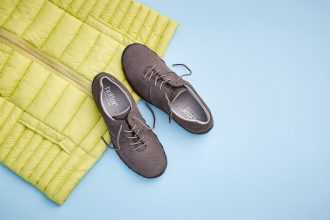 Stylish, sporty and comfortable, the shoes are boosted by GORE-TEX® technology making them waterproof, yet breathable. A great challenge, this is a real bucket list item when it comes to walking in the UK. At 1,085 metres, Snowdon is the highest mountain in Wales and it is said that on a clear day you can spot the Isle of Man! This route is around 7.3 miles and takes you up the popular Pyg Track and back down via the Miners’ Track. 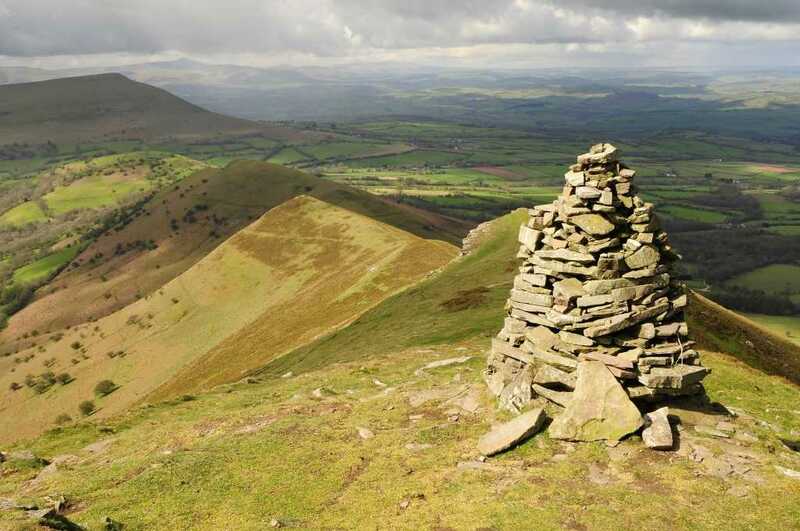 The walk takes around five to seven hours, starting and finishing at the Pen-y-Pass Car Park. It’s a wonderfully scenic route with a decent challenge on the final ascent for those looking to push themselves a bit. You can come back via Pyg Track, but opting for Miners’ on the descent makes it a bit more of an interesting route. It’s fairly good going underfoot as there are well-maintained paths for the majority of the route. For more information head to snowdon-walks.co.uk. The Patterdale GTX® should be your go-to footwear for an adventure of this scope. It may not be Kilimanjaro, but support and comfort are essential. 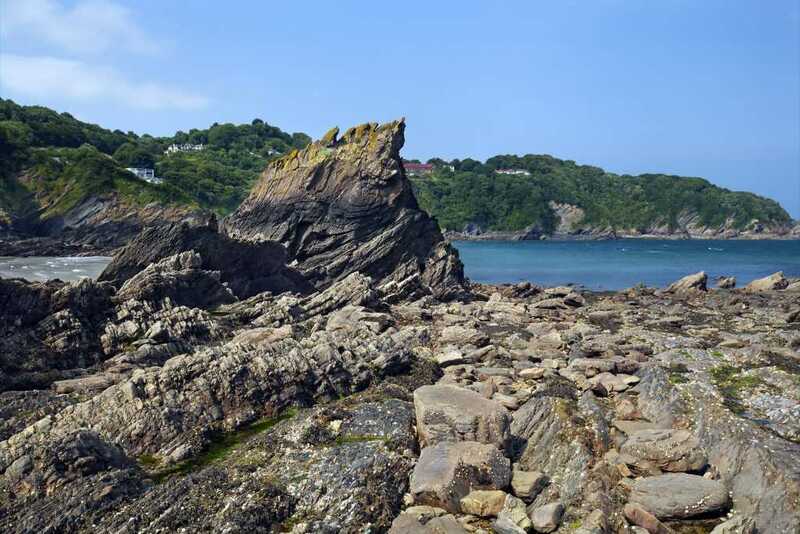 A great way to get your fresh-air fix, with a good dose of sea air and extraordinary coastal scenery, to boot, this picturesque walk is a must. 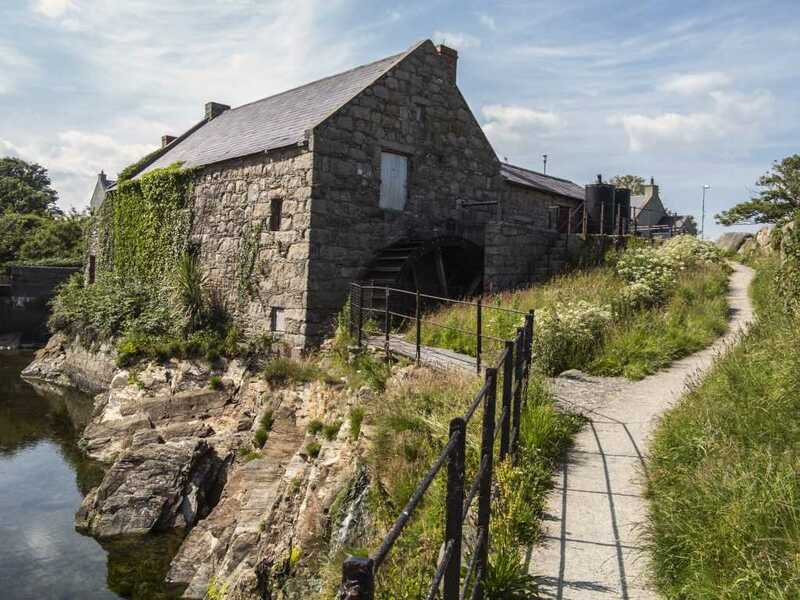 The coastal path from pretty Annalong Harbour takes you on a scenic circular walk around Mournes, an Area of Outstanding Natural Beauty – and it doesn’t disappoint. The views of the Mourne Mountains from the path are stunning and you can spot an impressive range of wildlife as you walk – keep an eye out for seals! Take a camera or keep your phone to hand as there are plenty of sights to snap. The whole route is only around 1.5 miles, so there’s plenty of time to stop and take in the Annalong Cornmill or the fishing village of Annalong at the beginning or end of your trip. This short but sweet stretch is just enough to get you moving after a long, cold winter, but not so much you’ll be aching the next day! For more information head to walkni.com. 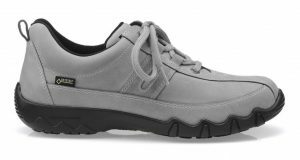 Make the walk in style and comfort with the Leap shoe, designed to cradle your foot for the ultimate walking experience. 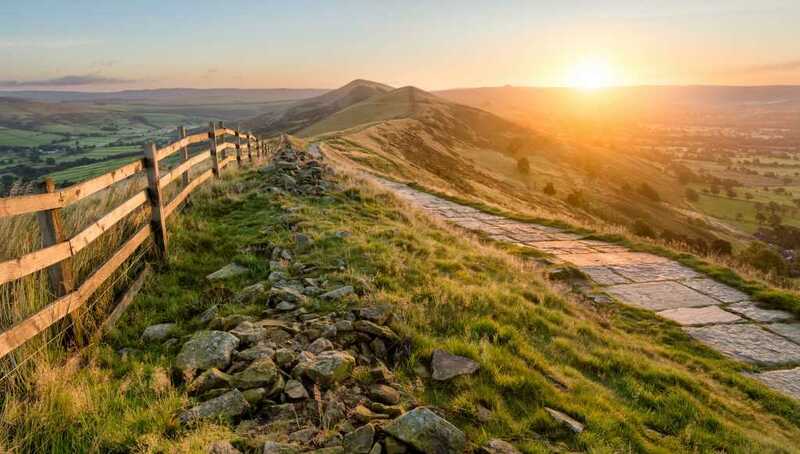 Head to the Peaks for a leisurely walk up the famous Mam Tor. This picturesque hill sits at 517 m and its name is said to mean ‘mother hill’. There’s a great easy route, starting at the Mam Nick car park, which takes you on a circular trail round the hill with views of the Edale Valley . At just three miles it’s perfectly doable on a lazy afternoon – the whole route should only take around two hours. Along the way, stop off at Blue John Cavern, a cave that contains eight of the fourteen known varieties of Blue John stone. 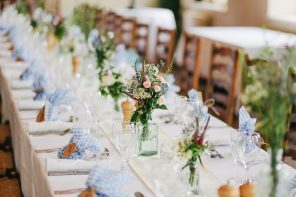 When you’ve walked enough to work up an appetite, head to the local towns and villages for a late lunch or a slice of cake. Edale and Castleton are great options for post-walk refreshment.. For more information head to nationaltrust.org.uk. Give the Mist GTX® shoe a whirl as you make your way through the Peaks. This tough shoe is lightweight, waterproof and breathable. 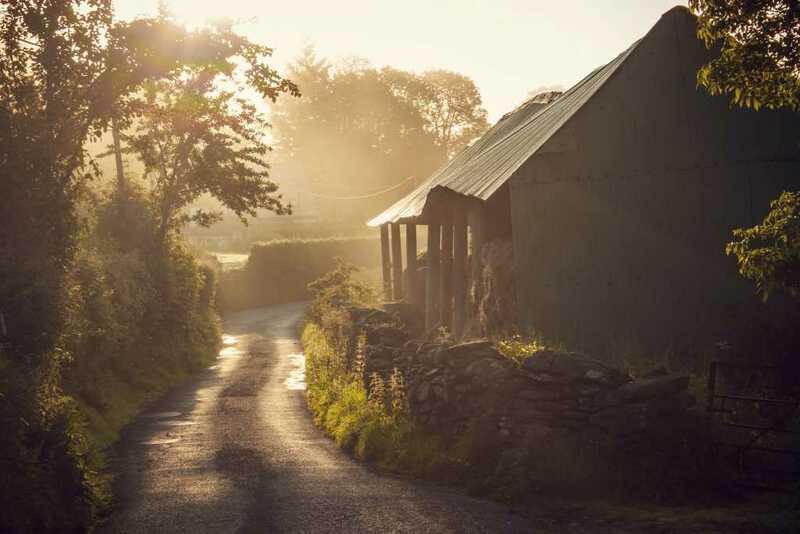 Pack your bags and head to the Lake District for a real breath of fresh air – there’s nowhere better to rejuvenate than the rolling hills and beautiful lakes. 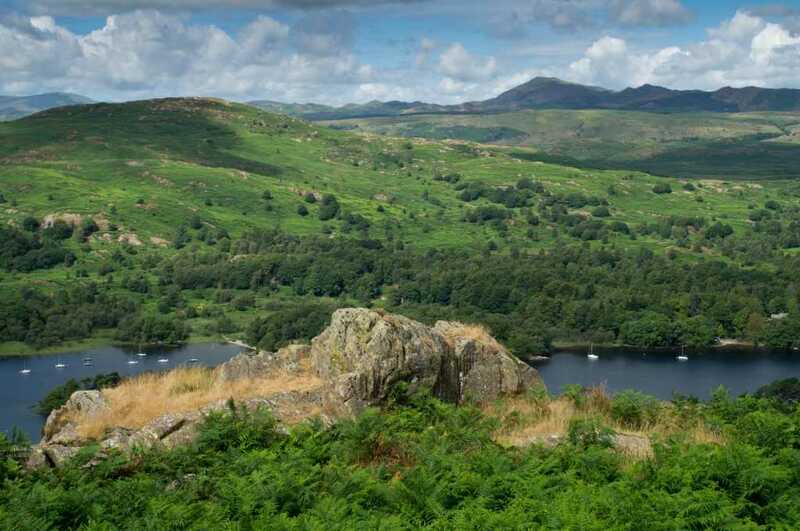 A classic walk, The Old Man of Coniston makes for a great afternoon out. The Old Man is a fell in the Furness Fells near Coniston and this route provides some fantastic views of the impressive Coniston Water. There are many routes you can take, but a linear route to the top and back is the most manageable. Starting in Coniston Village, the route takes you up zigzagging tracks, through old quarry works and boasts views of pretty Low Water. It’s around 3.7 miles and should take just over two hours. Refuel post-walk at the idyllic Bluebird Cafe on Coniston Water with sailboats zipping along in the background and a small, but busy beach in the summer. Walk Lakes has a great guide to this short, linear route, for more information visit walklakes.co.uk. Need to know: Car park – Coniston Village Car Park. Start – SD289971 in Coniston Village. The sport-inspired, all-weather Thor GTX® is a must for this hike. It’s substantial enough for tough terrain and the padded collar and cushioned insoles ensure you do it in comfort. If you’re looking for a real adventure to test your legs, head to the stunning Exmoor Coast. This walk takes in just one section of the path on a three-day jaunt. 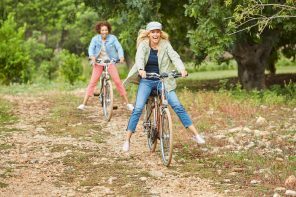 It covers 35 miles in total, with 9-14 miles covered each day, so you’ll need to make sure you’re fit enough to keep up! The walk takes you down the entire coastline of the Exmoor National Park providing ample opportunities for those with a passion for photography. On day one you’ll traverse from Minehead to Porlock Weir; day two takes you to the charming villages of Lynmouth and Lynton with the two joined by a fascinating cliff railway. Day three sees you make the final trek to pretty Combe Martin where you can refuel with a well-deserved hot choc at the lovely Wabasso Art Cafe. Head to southwestcoastpath.org.uk for more information. Need to Know: Car park – Parking near the start point in Minehead (Postcode for Sat Navs: TA24 5QW). Start – Quay Street, opposite the Quay Inn. The smart, durable Force GTX® repels moisture, thanks to integrated GORE-TEX® technology, making it the perfect choice for a coastal walk. 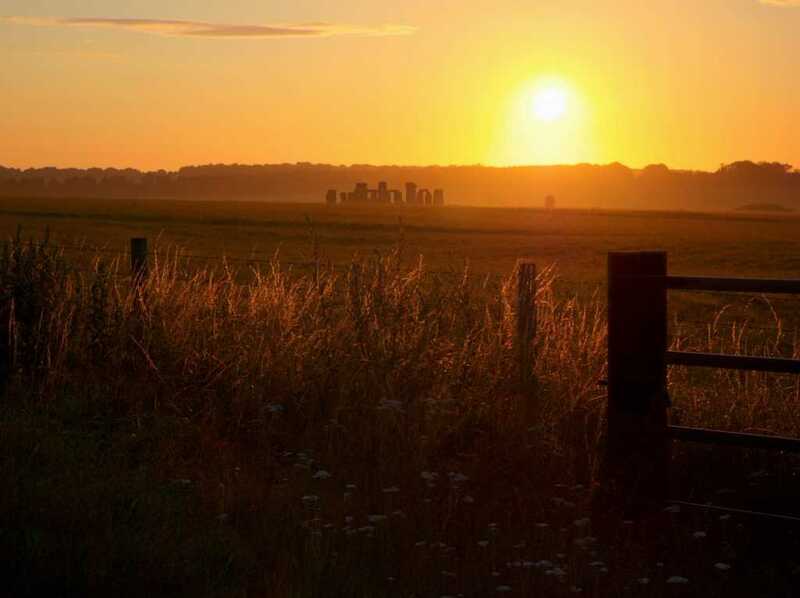 Pay a visit to wonderful Wiltshire and take in one of the world’s best known pre-historic monuments and one of the wonders of the world, Stonehenge. This incredible site holds a wealth of history, but it’s also set in some impressive landscape. There is a lovely walk that allows you take in both the Stonehenge Stone Circle and Durrington Walls – thought to be a place of habitation, feasts and rituals more than 4,500 years ago, according to the National Trust. You can take an easy stroll around both sites starting at the Woodhenge car park, with a nice 4-mile route that should take around two and a half hours. It’s easy walking with good terrain, if slightly uneven, and only a few steeper sections. For information, and some great route suggestions, head to nationaltrust.org.uk. And when you’re done walking, pop into the world class visitor centre to learn a little more about this impressive Neolithic site. Need to know: Car park – Woodhenge Car Park. Start – SU151434. The Gravity is a stylish, but hardworking, shoe that will easily see you through this historic walk. It’s flexible and lightweight, perfect for spring/summer walks. Joanna Knight is the editor of Women’s Fitness magazine and co-founder of WeHeartLiving.com, a wellbeing site for women. 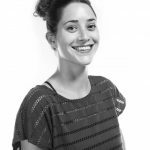 She is an intrepid explorer and loves nothing more than lacing up her walking shoes, packing a rucksack with sandwiches and taking her dog, Henry, and husband out on country walks. Find your perfect pair for walking at www.hotter.com or stores nationwide. A little bit about me… Hi! 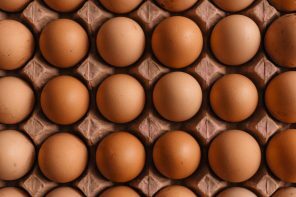 I am the PR and Social Media Executive here at Hotter, and have worked here for over 13 years. One of the things I love about Hotter is the passion staff have for our shoes; they are always striving to find more ways to help our customers find their perfect pair. When I’m not in the office, I love to cook, craft and shop! You have spoken and the message is clear: comfort is cool and sporty is the new smart. Here we breakdown the phenomenon called ‘Athleisure’.